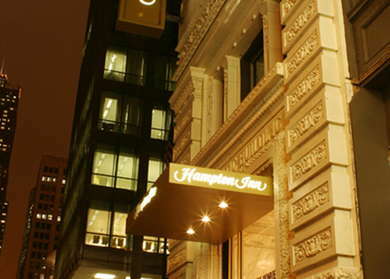 Snug in the Theater District, the Hampton Majestic is in one of the most high-traffic areas of town, which also makes it very walkable. Stunning, quiet guest rooms are done up in designer tones. The Internet access and a 24-hour fitness center (both free) benefit more than just business travelers. Staff is responsive and the common areas are large, great for hanging out or meeting up with the rest of your group. Just like all Hamptons, a daily hot breakfast is included with rates. Warm shades of paint--oranges and yellows--coat the walls in each of the 135 rooms, a fresh departure from blah neutral hotel rooms. 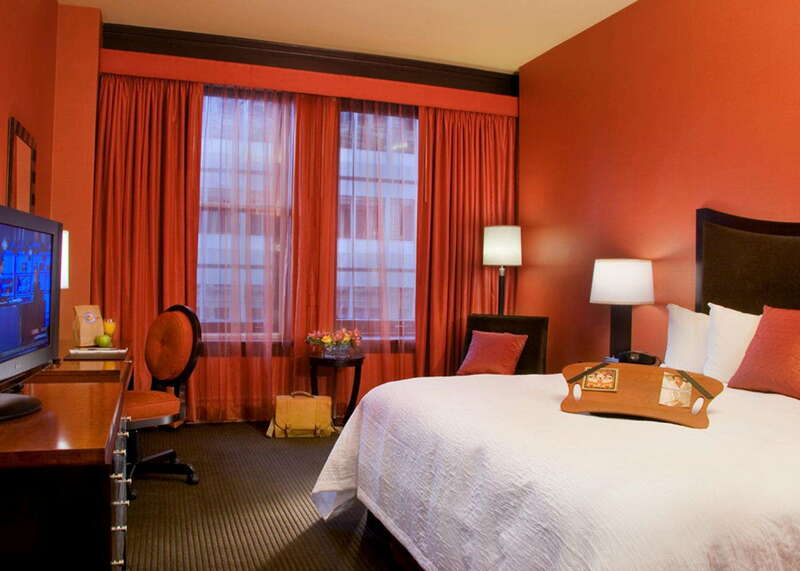 There are three room categories: King bed, King bed with sofa bed and two Queen beds; all feature duvet covers. Families like the sofa-bed option to further spread out with young kids. An armchair with a companion ottoman in each room is a great place to relax with a good book or the morning paper. For those working on the road, the executive desk and task chair are appreciated. A coffeemaker, microwave and mini-fridge are also in each room. YOU SHOULD KNOW Pets are not allowed here--even with a fee. A Waterpik shower head in each bath is a nice wake-up perk. The coffeemaker is in the bathroom, which might work for some who are in a rush while getting ready. 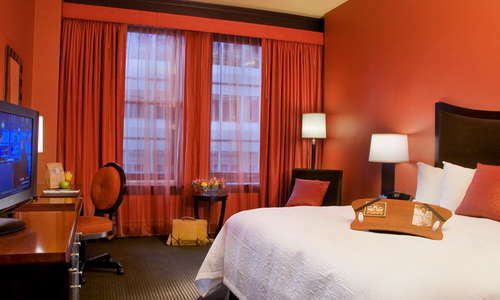 Blending right into this architecturally rich city, the hotel is located within the historic Majestic Building and Theater, which debuted in 1906 and is a Chicago landmark. The lobby is warm and inviting, not to mention spacious, with framed black-and-white photos on the walls; fuchsia, red and chartreuse furnishings; a bar-height communal table outfitted with outlets for those who want to catch up on emails or charge their devices. Check-in takes place at a desk off to one side. 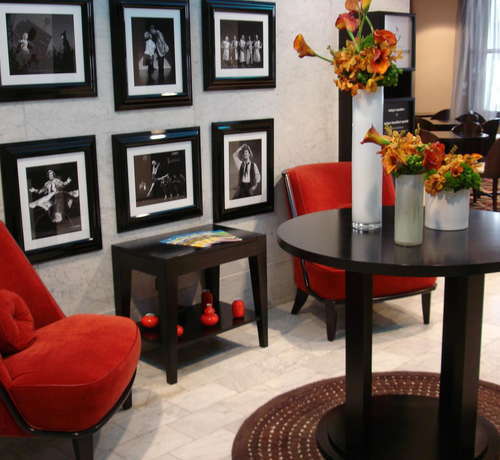 A 24/7 fitness center is available to guests although many find that walking in this part of downtown Chicago is pure pleasure while being a form of recreation. Still, the fitness center is a welcome perk on wintry days. 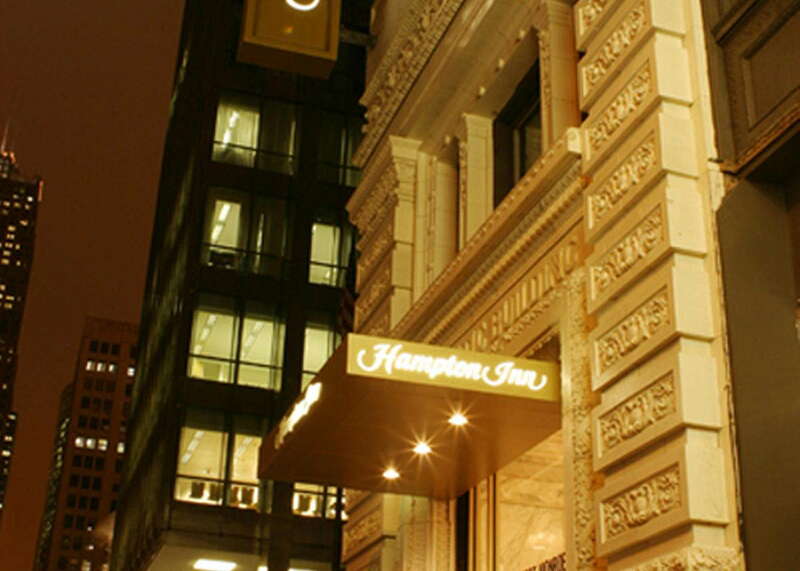 Valet parking runs $59 a night--standard for a downtown-Chicago hotel--but you don't need a car at all. The Monroe L stop is a half-block from the hotel (on Dearborn and Monroe) and to get to the Museum Complex (where Field Museum is) simply take the 146 bus south. Uber and Lyft drivers are always in the area. Revival Food Hall is a great place to score some Latin fare (including an all-you-can-eat weekend brunch); it's a food hall much like Eatery and just a three-minute walk from the hotel. The Gage (5-minute walk) is a nice French eatery on South Michigan Avenue across from Millennium Park open for all-day dining--and with an impressive wine list. Rooftop bars are all the rage in downtown Chicago right now and number around 20. Check out one of the newest at Hyatt Centric the Loop Chicago (3-minute walk), where AIRE is open daily (except for Sunday) from May through early fall. Open year-round is Cindy's Rooftop (6-minute walk), inside the Chicago Athletic Association Hotel, serving cocktails featuring botanicals and elixirs, plus craft beers and wines by the glass, paired with a view of Millennium Park. 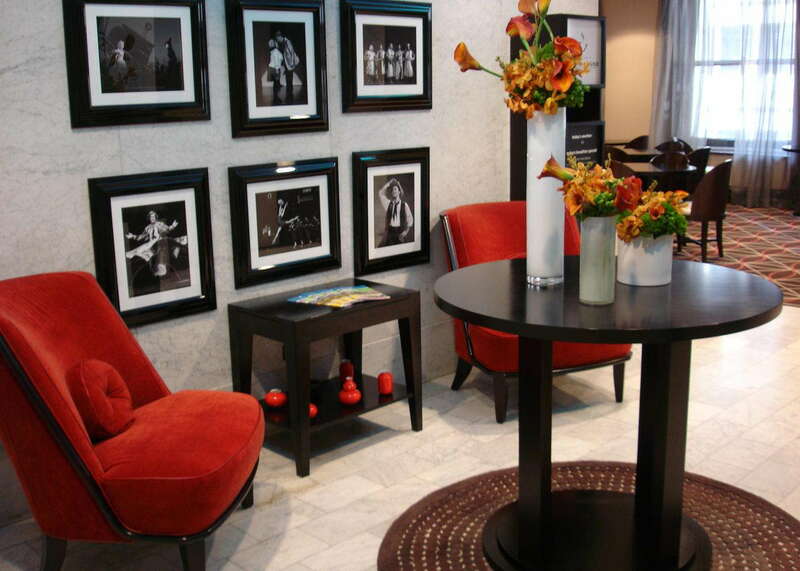 With a free daily breakfast and rooms that go beyond the norm with bright colors, what's not to love about this hotel? 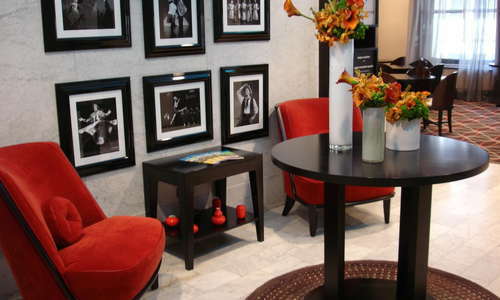 It's easy, too, to forget it's a Hampton because of its location inside an historic landmark and that the urban surroundings (theaters, museums, great dining, green spaces and Lake Michigan's shoreline) are right outside the hotel's front door.